Jennifer Felmely (aka Chef Jenn) teaches and cooks with an infectious enthusiasm. Her passion for the subject and desire to impart her knowledge, which she does with warmth and verve, cannot fail to fire those fortunate enough to be her pupils or dine at her table. Jenn is a talented and versatile chef who loves speaking about food as much as she loves cooking. Her appetite for food started as a little girl in her grandmother’s kitchen. By the time she was a teen, she knew she wanted to be a chef. Her journey began at Johnson & Wales University in Miami, where she explored the flavors and fusions of many different countries. Then went onto Johnson & Wales University’s Rhode Island campus, where they offered one of the countries only Culinary Nutrition Degrees. There she obtained both a Bachelor’s of Science in Culinary Arts & Culinary Nutrition. With a strong belief that your food comes from your soul, she wanted to discover the root of many dishes she learned to prepare and traveled to Europe where she spent a period working as a chef in a small town outside Milan, Italy. She then immersed herself in wine studies at the Deutsche Wein-und Sommelierschule in Germany where she received a Sommelier Certificate. This was followed by working at Champney’s Resort in England, one of the largest destination spa groups in the world. Here she refined her knowledge of healthy cooking and special nutrition. In 2003, Jenn took all these rich experiences back with her to sunny California with her where she began working at the Deepak Chopra Center at La Costa Resort and Spa in Carlsbad; where she could explore Ayurvedic cuisine and incredibly unique recipes. In 2004 Jenn realized that she was interested in teaching and began coking for a local cooking school.. She’s been busy ever since teaching group and private cooking classes, working as a private chef in homes throughout Southern California, catering events and is in the process of developing recipes that she hopes to one day make into a cookbook all her own. Jenn’s goal is to teach at schools throughout Southern California and around the world; creating the best courses for students. Her teaching focuses on nutrition, farm to table and international cuisines, although her passion and years of experience allows her to be very versatile. 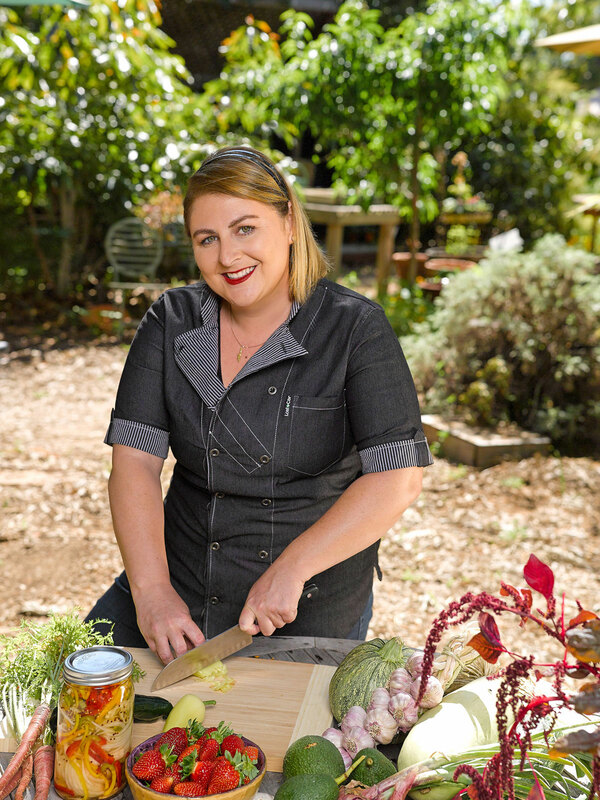 You can find Chef Jenn on all around San Diego, from free cooking demonstrations at farmer’s markets, to cooking classes on local farms, even Pop-Up Dinners. She teaches cooking classes throughout San Diego county. Classes range from Vegan and Vegetarian to French Country Cooking and Seafood; for more information about Chef Jenn’s upcoming class please click on “Upcoming Classes”.